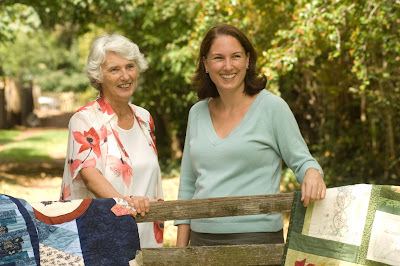 Today we have a very special guest, Jody Anderson, Editor and Publisher of the newly released Online Quilt Magazine. She is visiting today to chat a little about what kind of goodies this magazine has up its sleeve. 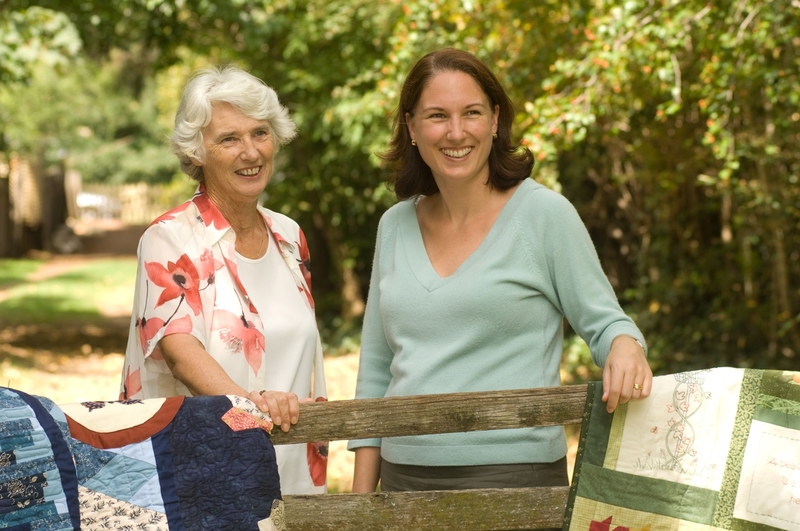 We’ve now been publishing our magazine for over 12 months, and we’ve been lucky to be able to feature all sorts of well-known quilters with stories and projects. 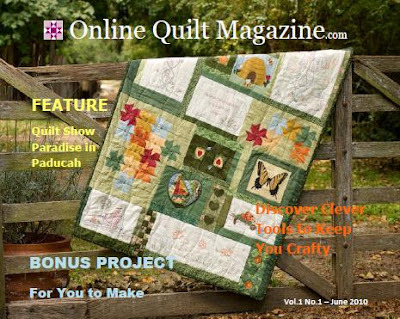 The magazine is a free monthly online quilt magazine and was started to provide good quality quilting information and articles to online quilters around the world. We have readers from the US, Australia, South Africa, Asia, Europe and the Middle East to name a few! Whilst I work mainly on the magazine, we are a mother and daughter team. I do “all the computer stuff” according to Mum, and she makes a lot of our quilts for our sister website, QuiltBlockOfTheMonthClub.com. There are a couple of great new subscriber bonuses too – “67 Quick Tips for Quilters” and one of our quilt patterns “At Home Among the Gumtrees”, and these are emailed out with the current issue just as soon as you register at our website.